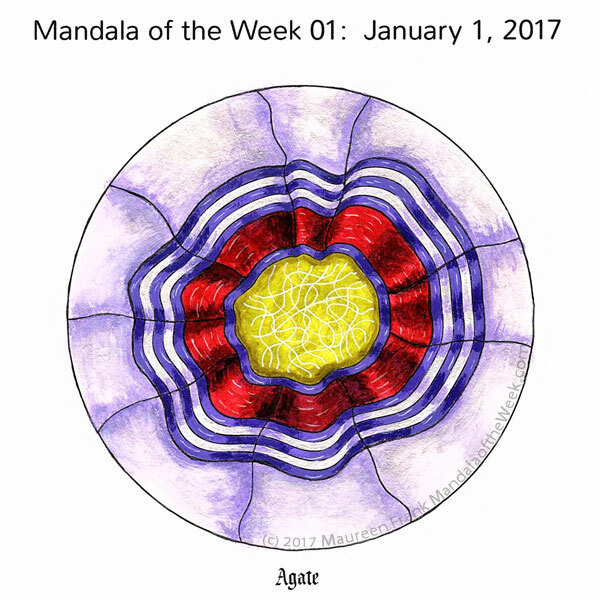 I present my coloring/painting of this week’s Mandala of the Week: Agate (from Sunday’s MotD post). This year I plan to mix it up with regards to what medium I use to “color” the mandalas. Today I used acrylics on paper, which is new for me to do. I picked colors as the spirit moved me in the moment. I used M. Graham and Golden Acrylics and sakura gel pens on Canson mixed media paper.